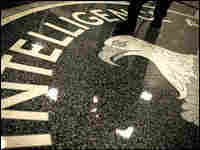 World Economy Becomes Focus For CIA Recruiting The CIA is on an atypical mission these days — analyzing the global economy. Intelligence officials say the global financial crisis has emerged as the top U.S. security threat. And to help figure it out, the CIA is recruiting Wall Street bankers. 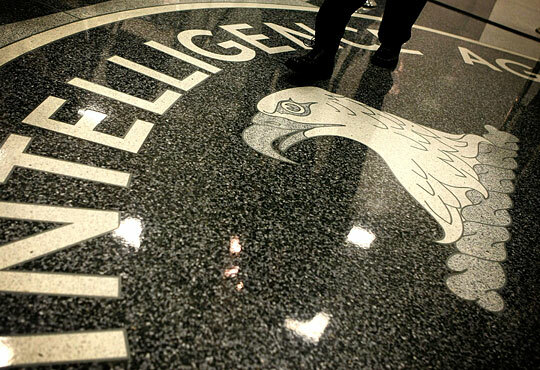 The CIA expects to receive 180,000 resumes this year. It is focusing recruitment efforts on finding Wall Street bankers to help analyze the global economy. Wall Street pros are trained to analyze markets, identify investment opportunities and make deals — all for one purpose: to make money. Now the CIA is asking them, through radio ads, to consider putting that same experience to use for national security. One ad that has run on Bloomberg radio, which is widely listened to among people who work on Wall Street, says, "If the quest for the bottom line is just not enough for you, the Central Intelligence Agency has a mission like no other: Join CIA's Directorate of Intelligence and be a part of our global mission as an economic or financial analyst." The CIA has always employed economic analysts. Back in the Cold War days, they studied the Soviet economy to determine how much military spending it could support. But this new recruitment effort is in response to changes in the global economy and the need to analyze it. Financial problems destabilize governments; the competition for energy resources is reshaping the world politically; countries and terrorist groups flirt with economic warfare. U.S. intelligence officials say the global financial crisis has emerged as the top security threat facing the United States. So CIA recruiters are looking to hire people like "Alex" — it's not his real name — who moved to the agency six years ago from a big Wall Street investment firm that he won't identify. He now works part of the time undercover. "There's no question that an understanding of the global financial system and how money moves from place to place and sort of the economic motivations of the bad guys that we look at are all important skills that I've been able to transfer from investment banking," he says. Since February, the CIA has been producing a daily economic intelligence brief for President Obama. This is in addition to the regular intelligence brief he gets each day; it's also different from the daily brief he gets from his National Economic Council. The CIA's economic brief is much more focused on international issues, especially those with security implications; David Gordon, a CIA veteran and formerly the national intelligence officer for economic issues, says agency supervisors are looking to Wall Street for new recruits to produce the new economic reports. "I'm sure they're putting them to work now on a number of different things," Gordon says. "I think they're particularly oriented towards getting people with an analytic bent." Gordon, now director of global research at the Eurasia Group, a private consulting firm, says the CIA is looking for people with expertise in arcane financial transactions, for example. "So you can really follow what are complicated foreign exchange transactions by governments. How is China managing its foreign exchange portfolios? What are they doing with U.S. Treasuries?" he says. This CIA recruitment push comes at a time of rising interest in CIA careers generally — the agency is on pace to take in 180,000 resumes this year — the most ever. The agency won't say how many people it will hire, but it is highly competitive. And with the financial crisis fallout on Wall Street, many young professionals there are looking for new employment. Ron Patrick, the CIA's director of outreach, says his recruiters are looking for what's motivating the CIA applicants they're getting. "Why do they want to come work for the government? Particularly for someone who's coming from a very different occupation, like perhaps a banker or Wall Street analyst. Seemingly, it's not the same kind of work. So we want to make sure people really are coming to us for the right reason," he says. For "Alex," it was a question of which "master" he wanted to serve. "Do you want to continue on the Wall Street track, helping companies, you know, raise money or do deals? A lot of people do want to do that. And that's great, because certainly our country needs that," he says. "But there's other people who have a passion for the country and want to think that every day that they wake up and come into the office, that they're making a difference. And I think that's the kind of person that's going to succeed here." But it will be a financial sacrifice. The starting salary for a CIA economic analyst with an MBA degree and at least some experience is about $80,000 at most — quite a bit less than what Wall Street pays.